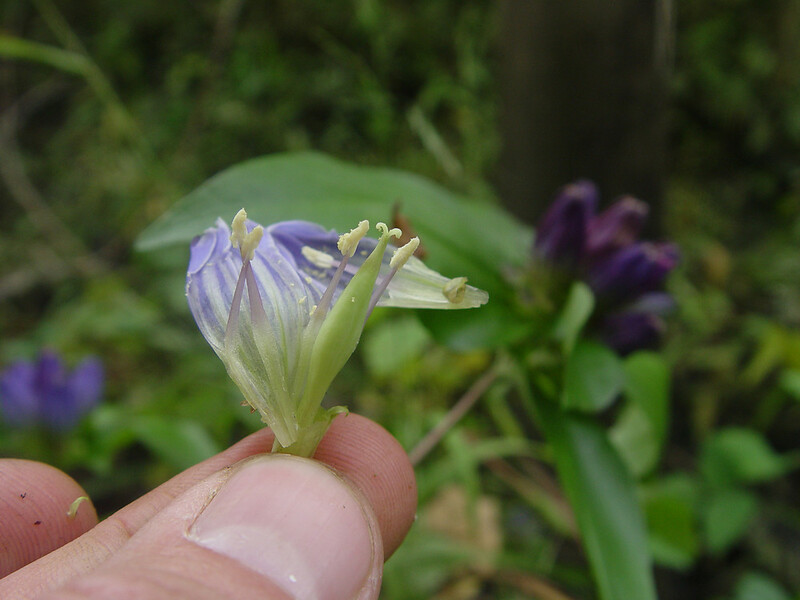 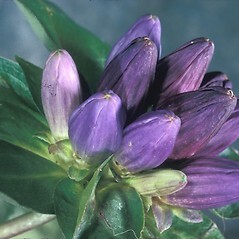 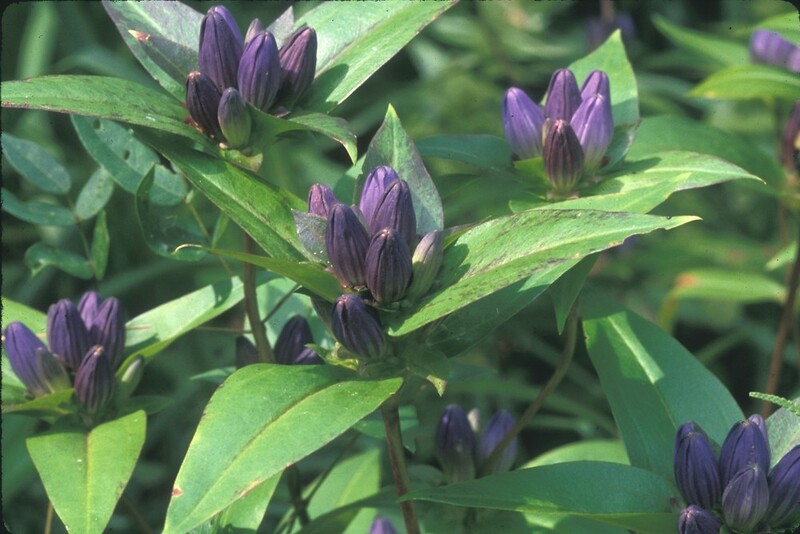 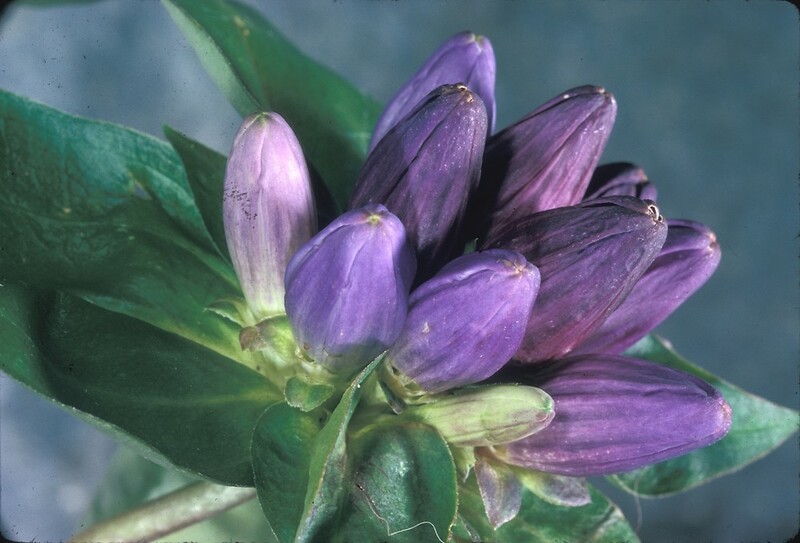 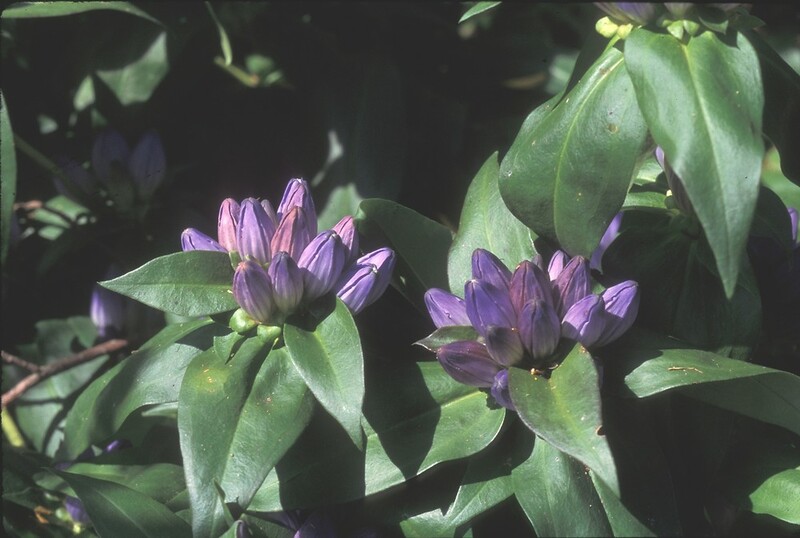 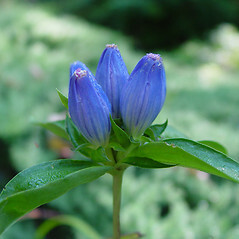 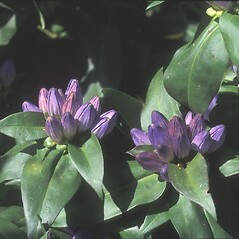 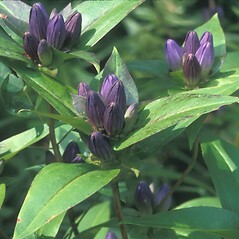 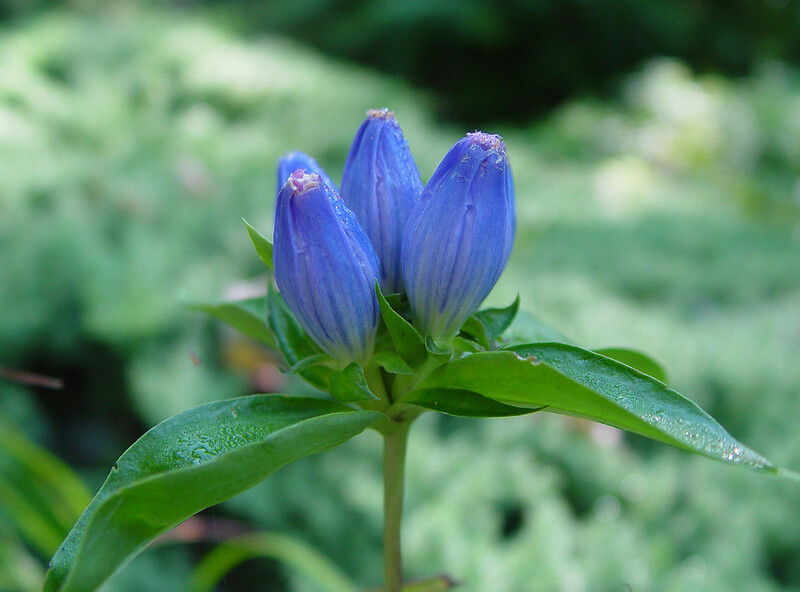 Gentians are named after King Gentius of Illyria who is credited with discovering medicinal properties of the root. 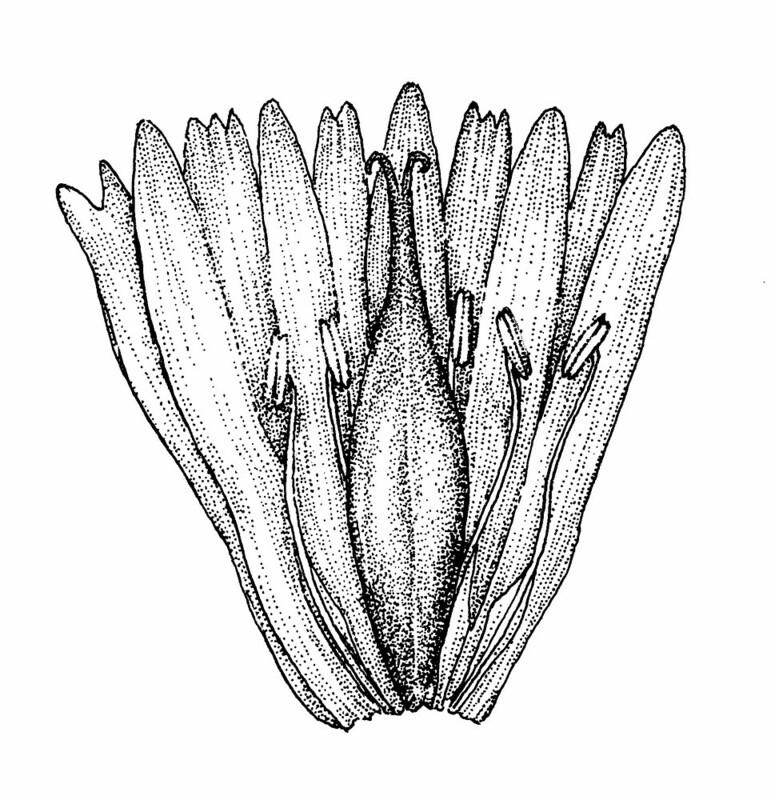 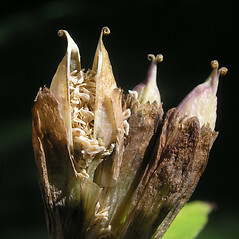 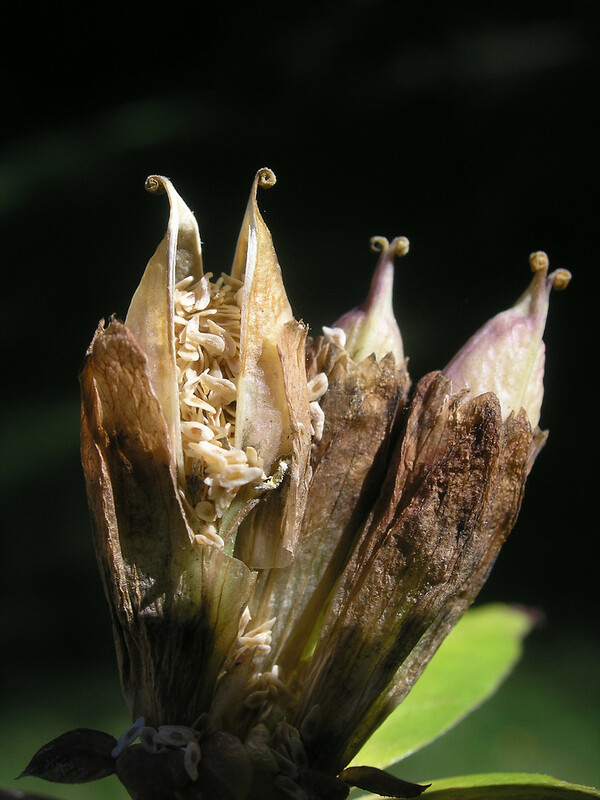 The flowers do not open and are pollinated by insects that are strong enough to force their way in. 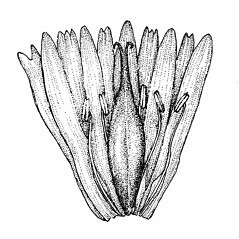 appendages in the sinuses of the corolla fimbriate, longer than the corolla lobes, and lobes of the corolla truncate and often apiculate, narrower than the plaits (vs. G. clausa, with appendages in the sinuses of the corolla 2- or 3-cleft, about as long as the corolla lobes, and lobes of the corolla broad-rounded at the apex, about as wide as the plaits). 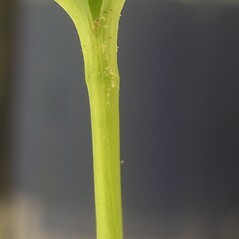 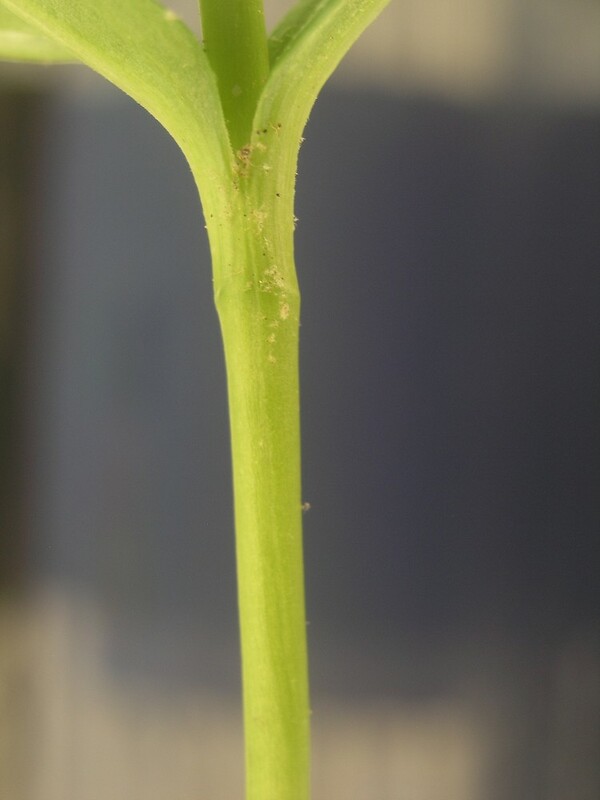 margins of leaf blades lacking marginal cilia or with very minute, scattered cilia and leaf blades narrow-lanceolate (vs. G. clausa, with the margins of leaf blades with abundant cilia that are visible with low magnification and leaf blades lanceolate to narrow-ovate). 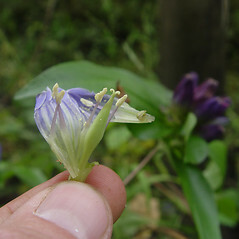 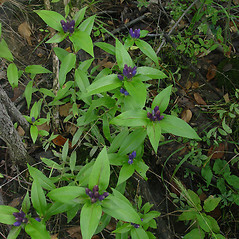 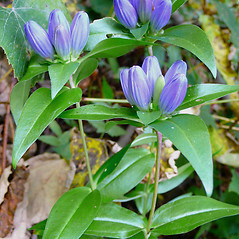 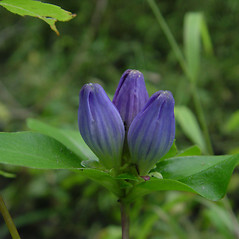 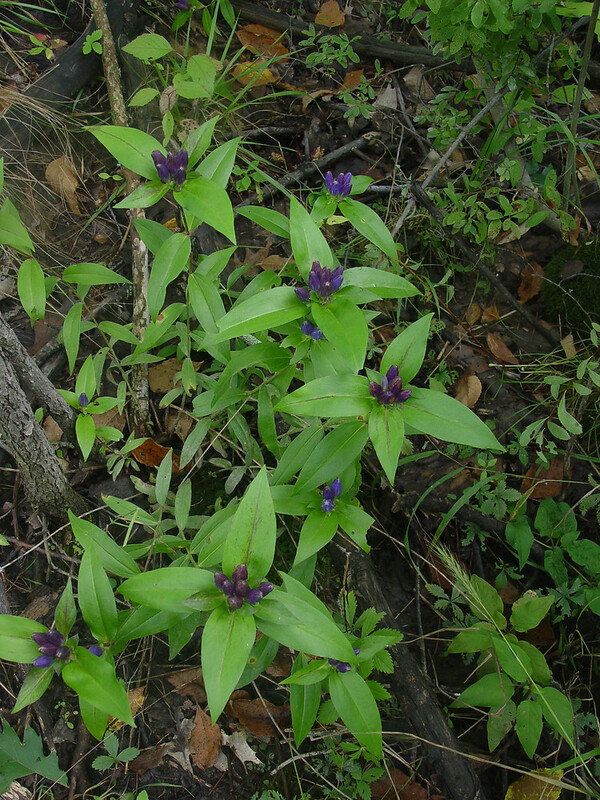 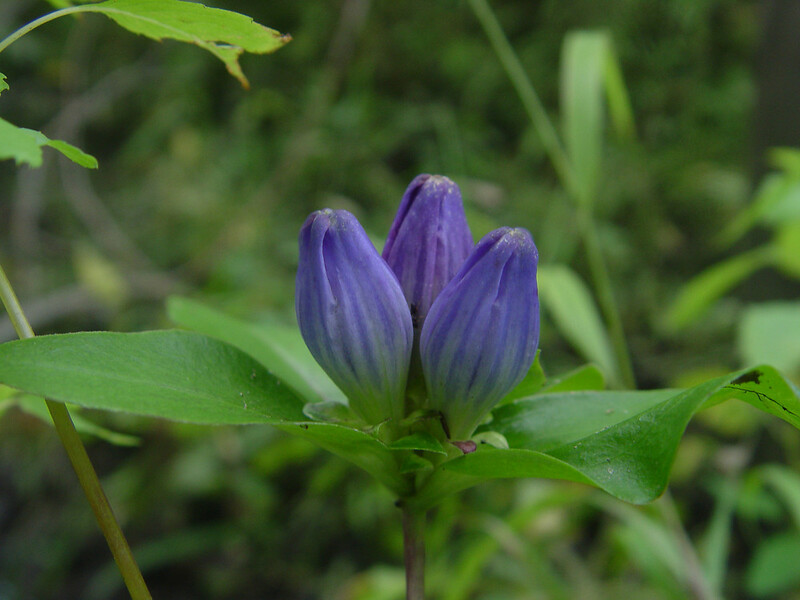 meadow bottle gentian. 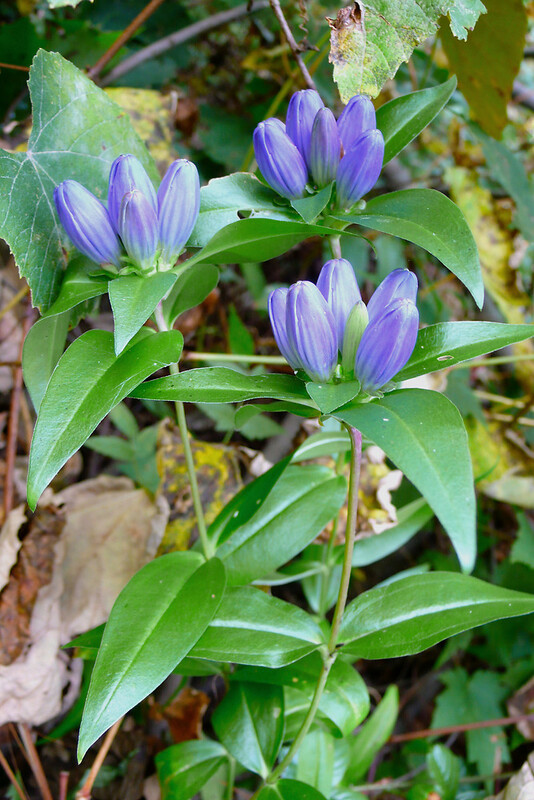 CT, MA, ME, NH, RI, VT. Meadows, mesic forests, clearings, riparian forests, roadside banks.